In keeping with the heritage aspect of of denim culture, Leon’s jeans come in very traditional fits: mostly wide and regular, some slightly slimmer, but never anything in the vicinity of skinny. 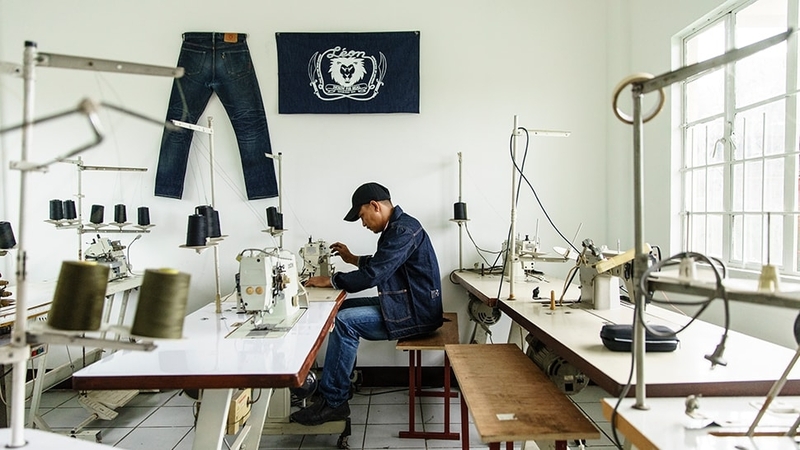 Their jeans also have the specialized rivets, buttons, and stitching that are characteristic of the old-school American blue jeans that were distilled into an artform in Japan, among brands like Momotaro, Fullcount, and Studio D’Artisan. In fact, Leon even sources denim from the same mills as these Japanese brands, but gets most of their fabric from Collect Mills, which also supplies Japan Blue, a well-known Japanese selvedge denim brand.